In essence, VoIP services are provided over the cloud or ‘hosted’ by services providers. Hosted VoIP is the preferred choice for small and medium business organisations that would prefer to avoid the hassle of maintaining their own systems. With traditional on-premise phone systems, organisations have to maintain all the hardware related to voice communication on its own. With a hosted VOIP service, we handle all of this for you. 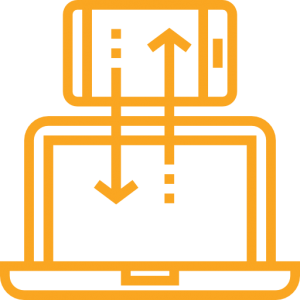 Remain available from wherever you are; whether your employees are working remotely, are overseas, or your office is experiencing an outage, the system has been designed to provide continuous connectivity. We support mobile workforces and allow businesses to turn any mobile device into a business phone, cutting business costs of purchasing new handsets. Focus on growing your business, not updating technology. Easily scale up or down and accommodate to business changes such as new hires, acquisitions or if you move offices. Keep control and gain visibility of your business communications with access to advanced reporting and statistics, allowing you to make informed business decisions. Save up to 50% on your call costs by transitioning to a Hosted PBX solution. Add a new level of professionalism with features such as Auto Attendant, Ring Groups for company departments, custom Music on Hold and more. Access your phone calls from a computer or mobile device. This IP phone is ideal for growing businesses as it offers a high-end, sleek design and mid-range capacity that business can grow with and depend on at the competitive price that you need now. The GXP1780 supports 8 lines, 4 SIP accounts, includes 32 digitally programmable BLF/speed-dial keys and offers dual 10/100Mbps ports. 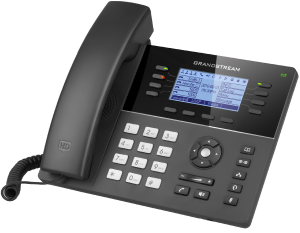 Grandstream’s most powerful IP phone, the GXP2170 supports up to 12 lines and 6 SIP accounts. 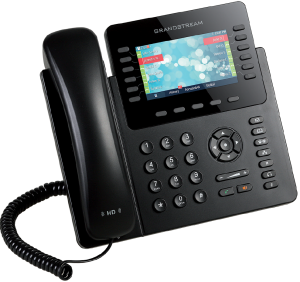 It’s ideal for users who handle call volumes as it includes 48 on-screen digital BLF/speed-dial keys and supports up to four of Grandstream’s GXP2200EXT Modules. The GXP2170 also features built-in Bluetooth, PoE and more. The Android-based GAC2500 offers full access to the Google Play Store to allow for conferencing with Skype, Google Hangouts and more, while also supporting up to 6 SIP accounts and Gigabit ports. 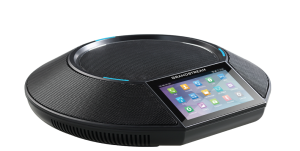 It contains a suite of mobility features that will transform your business conferencing experience, including built-in Bluetooth, WiFi, 7-way conference bridge and a familiar Android interface delivered on a 4.3″ touchscreen. Interested in streamlining your business communications? A simple coffee and chat session will provide us with enough information to provide you with a quotation for your custom voice solution.